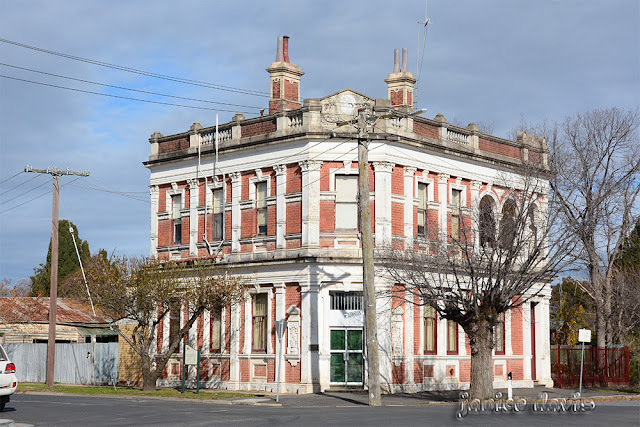 thoughts & happenings: Euroa, Victoria. Continuing Euroa - yes there is a lot to see. The pathway to the Train Station plus the station. 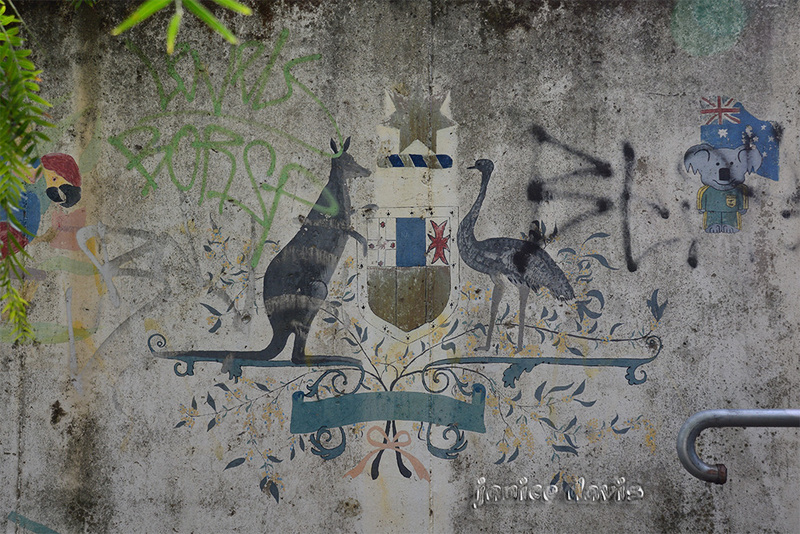 The above is Australian Coat of Arms. These are on the brick wall as one walks through the tunnel to the train station. Don't know what this building was used for, maybe a bank in years gone by but now it appears someone lives there, probably divided into flats. 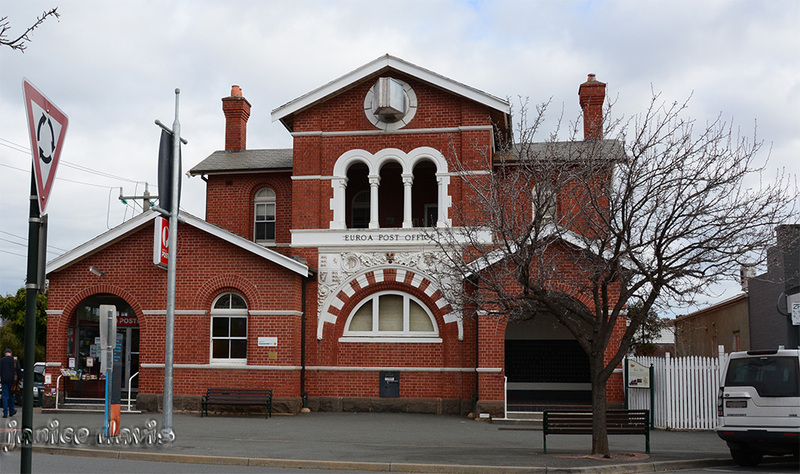 The Post Office of Euroa. The post office building is gorgeous!! It is lovely, Australia does have some beautiful old Post Offices. La toma en esquina del edificio tiene una buena perspectiva para visualizar su fachada. El edificio de correos es precioso. Easier to see the building from the corner, not always able to take photos from that angle. The Post Office looks like it was once something else, perhaps a church or similar. 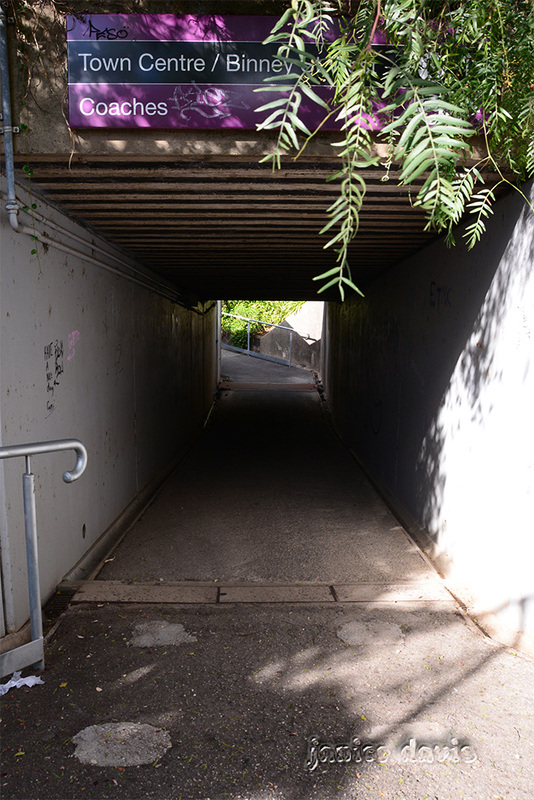 We have underpass tunnels to railways stations here in Adelaide, not many but I've walked a few of them. Most are short and well lit, others are to be avoided at all costs. This tunnel was very short and I hope nothing happens that's awful there in the night time, we didn't see a soul. When you come to think of it that Post Office does look a bit like a church. Love the coat of arms in the train tunnel. Our tunnels are much less salubrious. I suspect the first building was a bank. It has the look - and would convert to flats well. That building does look very much like a bank of old. Euroa is in a very prosperous region and the upkeep of the town centre shows this. residence for the bank manager on top. Similar to the old banks that West Wyalong and Moree had in days long ago. You are probably correct Colin. 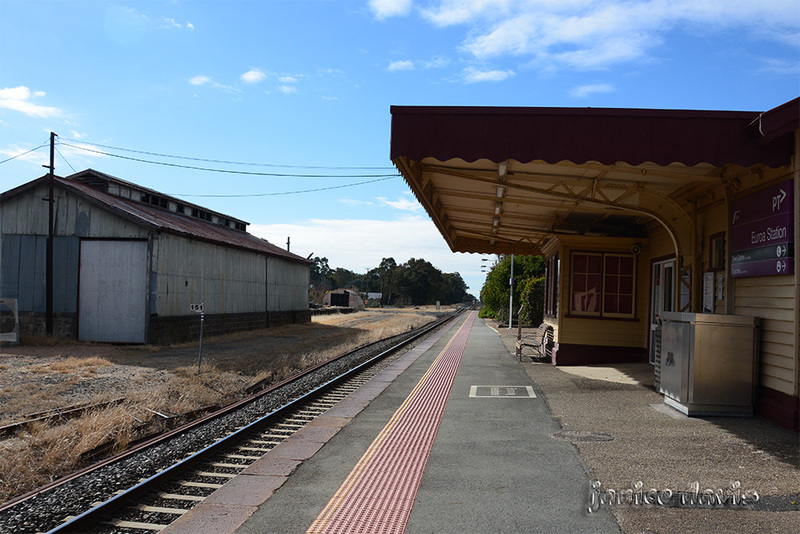 It's a very country station, with the goods shed across the tracks. 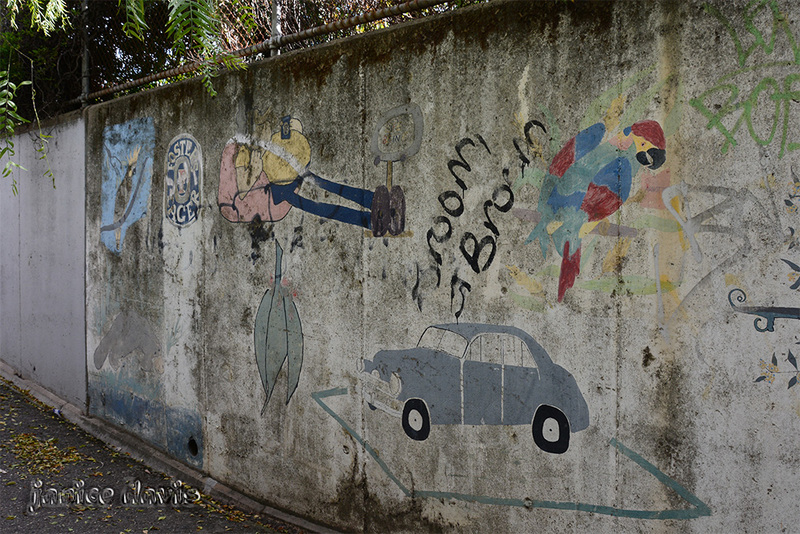 Pity about the graffiti in the walkway. So many local places I have not seen. Beaut town to walk around, it's flat need that at our age (husband and myself). Graffiti does sometimes spoil, other times it looks alright. pathway to station and specially walls are really interesting dear Margaret! I do like the coat of arms in the tunnel. I like our Coat of Arms. Excelente reportage, Margaret!!! Un abrazo.